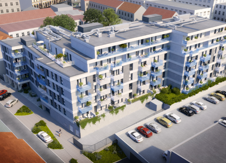 Apartment building SMART LIVING KLR@Plzeň puts maximum emphasis on quality materials and working procedures which will ensure long-term durability of the new housing for the residents. One of the main advantages of the concept of Smart Living is that you always have a choice. Smart Living invests in quality. And this is inherent in everything Trigema brings onto the market. 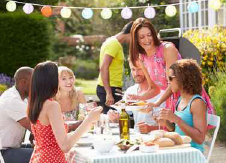 Consequently, the Smart Living concept from 2015 is offered in several qualitative levels. The characteristic variant for KLR@Plzeň is the default three-step offer that is not on the outside market anywhere in the regions represented. We can say with certainty that this is a highly above average qualitative standard which, however, responds to the requirements of demand and its pricing strategy is solely based only on the standard of the site. An example of standards that you can expect within the concept: central air-handling unit with heat recovery, facade: a combination of a standard silicone plaster and another surface, walled housing partitions, gypsum plaster, residential door entry security grade 3, internal doors: CPL, rivets, 160 - 200mm insulated windows: triple glazing, data: optical wiring, home phone: as standard. We will gladly provide more detailed information for you in our sales centre. The KLR project is like all other Trigema residential projects, classified as B - very efficient. Download the document. While earlier construction projects counted on the exchange of air through leaks in the windows, modern apartments in low-energy houses are almost hermetically sealed systems. The air-conditioning system is therefore sufficient to replace the air. Thanks to the heat recovery, fresh air is heated by the waste air to avoid heat losses due to ventilation. The heat that is produced in the apartment thus stays inside, and fresh air comes from the outside preheated to a pleasant temperature. Powerful ventilation with the heat exchanger will replace at least 10% of the air volume within an hour. During ten hours, the air is completely exchanged in the apartment which positively affects the air quality whether from the point of view of carbon dioxide content, odours, or moisture in the air. The whole system is regulated and its performance can be increased several times. There are two separately adjustable branches in the apartment - one for removing air from the kitchen, the other for the rest of the apartment. It is therefore possible to increase, for example, the extraction of kitchen vapours during cooking and at the same time keep the ventilation of the rest of the apartment to a minimum. Trigema projects always secure energy efficiency and air conditioning. SMART LIVING KLR apartment standards also include preparations for intelligent home technologies. The cellars are located on the first above ground floor and on the first underground floor, their cost is included in the price of the apartment. It is necessary to buy parking spaces together with the apartment and their cost is not included in the price of the apartment. Prices of garage and parking spaces are from CZK 181,500 with VAT, according to their location. Besides the internal garage hall on the 1st underground floor, the project also has dozens of outdoor parking spaces which are situated right next to the eastern side of the building (connection to Kollárova street). Ceilings in the residential units, in the hallways. Living room, bedroom, hallway – floating laminate, skirting around the perimeter. Bathroom, WC, kitchenette, vestibule, hallway, pantry – ceramic tiles, the selection according to the standard. Communal hallway, landings – ceramic tiles as per selection of the architect or screed. Variants of floor covering in a residential unit depends upon what's available and project documentation. The walls in apartment units – gypsum plaster. Residential units – white, abrasion resistant. Kitchen area – whitout tiles. Outer flashings: coated aluminium sheet, internal plastic system, laminate board. Sectional, entrance gate to the underground garage controlled by remote. Door CPL surface, in design according to specified standard, dimension according to PD. Entrance door to the building - glazed aluminium (self-closing, panic handle, electric door guard). Above-standard door height 2100 mm. The sensors will be installed in each hallway of the apartments. The preparation for the kitchen units will be finished in the boxes in the anticipated position of the kitchen units. The central exchange station in 1PP. There is a heating ladder placed in the bathrooms. In the rooms, a panel or bench style radiator. There are thermostatic heads on the radiator housings. According to the standard specification.